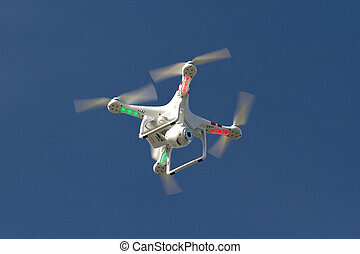 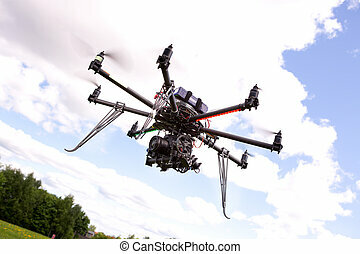 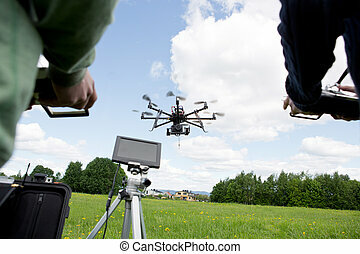 Multirotor photography helicopter. 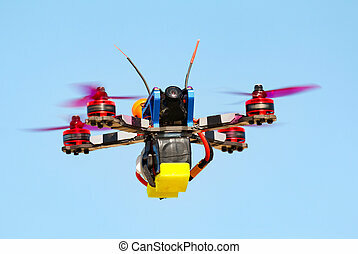 Multirotor rc helicopter used for taking low altitude aerial photos. 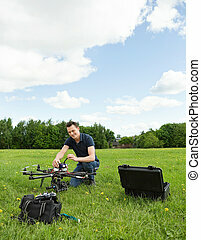 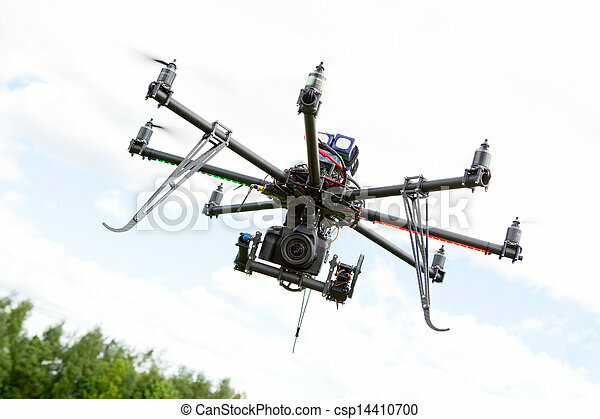 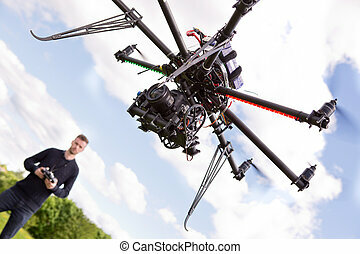 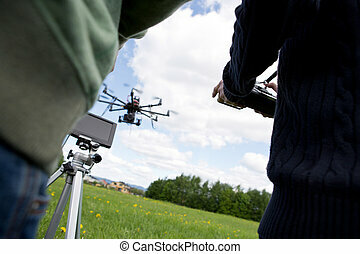 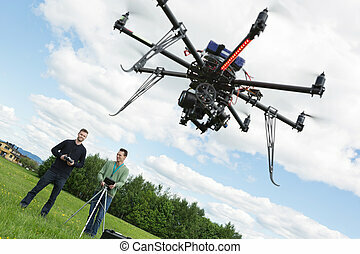 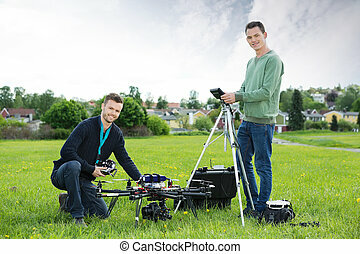 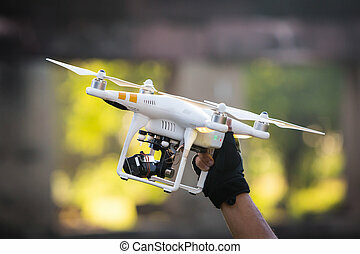 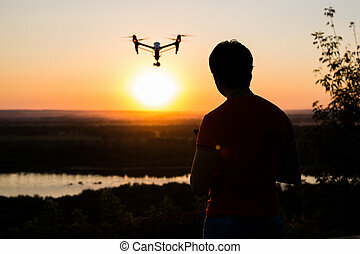 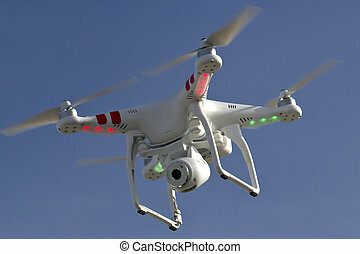 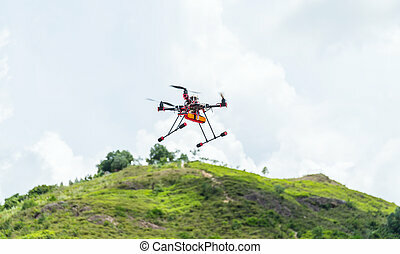 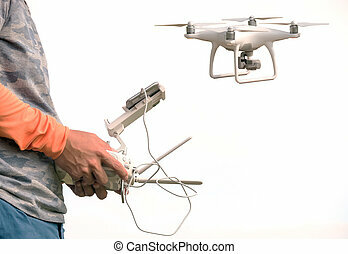 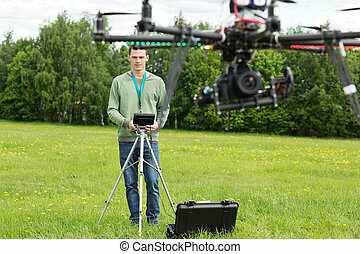 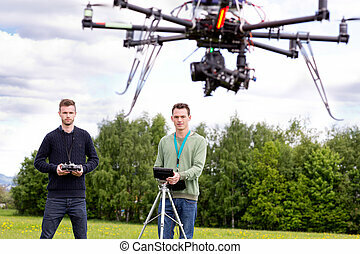 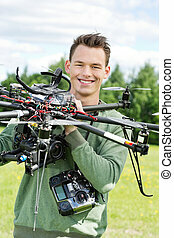 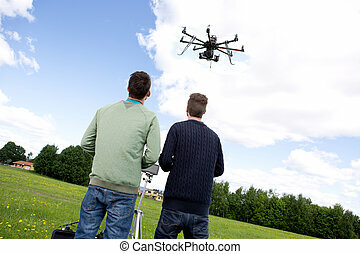 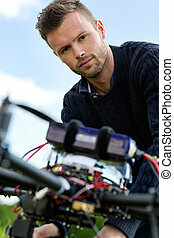 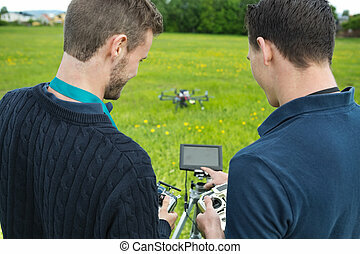 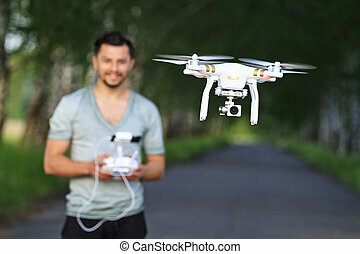 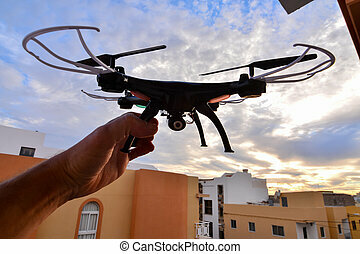 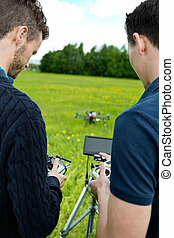 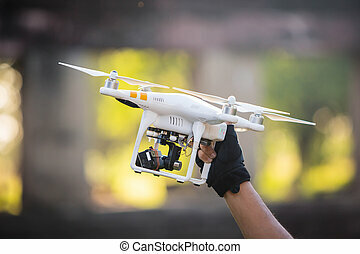 Male hand holding helicopter drone with checking battery. 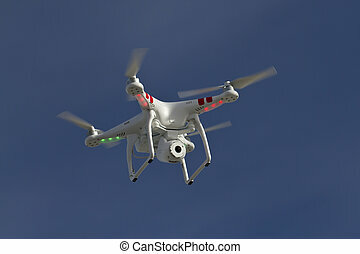 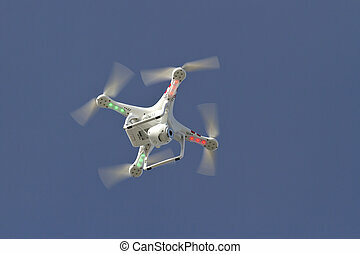 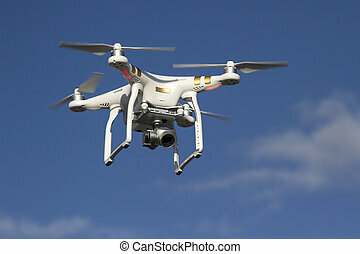 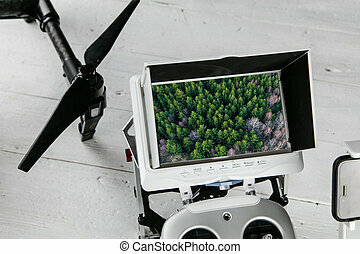 Drone aerial photography concept - Radio control transmitter with monitor, close-up.